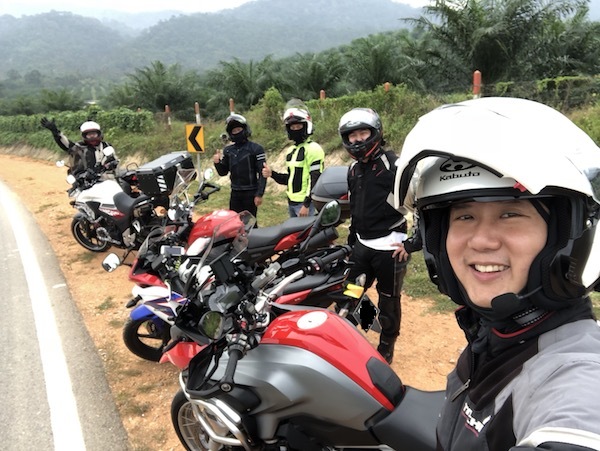 This Sunday morning, we head to Pekan Nanas for a photoshoot (I needed a banner pic of my bike for this blog) and then to a short off-road section to Zhong Cheng plantation. The weather was beautiful this morning – with heavy cloud cover and just a tad drizzle to keep all of us cool. 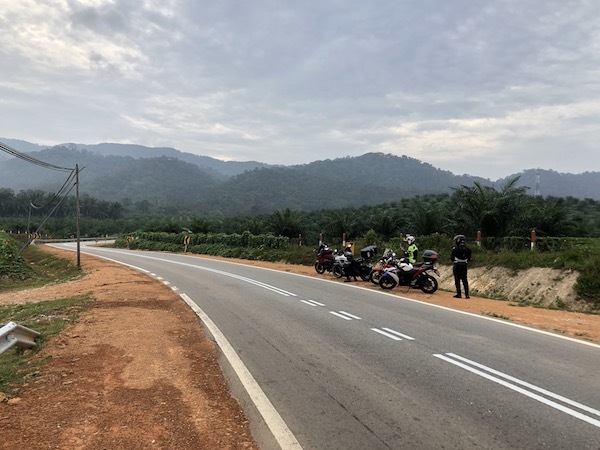 Lining up our bikes against the amazing backdrop of Pekan Nanas. 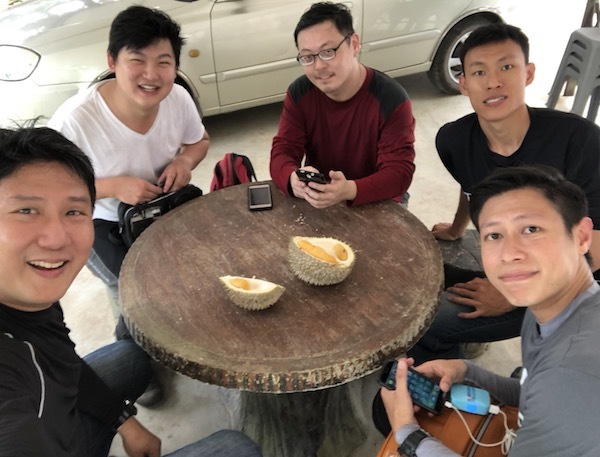 Not exactly the highlight of the trip – the 5 of us shared 2 small durians. I thought your friend in red looks very familiar, racking my brain… then it hit me. He looks just like Goh Chok Tong! 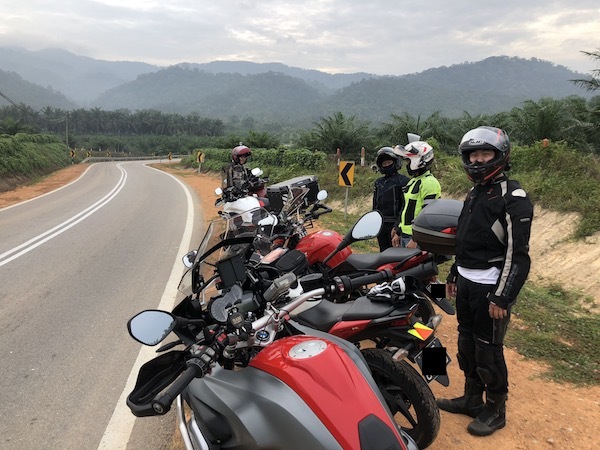 Wish I can also join up for rides like this but I just a provisional rider. Safe rides! Holy crap. I know that guy in red! 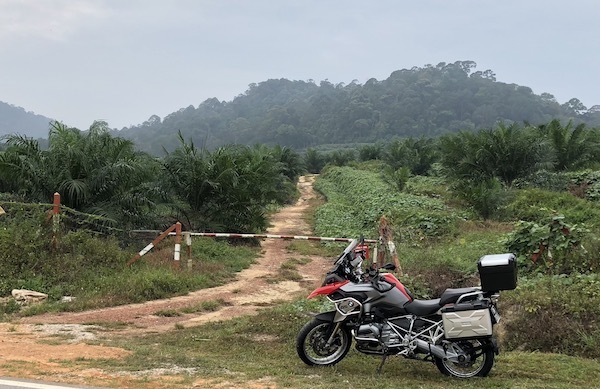 I stumbled on your blog while searching for some bike stuff, and got hooked on it because of how much awesome travelling you do. Then I see a familiar name and face in some of your posts. I haven’t seen Siu Hon in ages (well more accurately, since primary school)! Yeah! The “guy in red” is pretty famous! LOL! Would you like to reunite with your primary school mate by joining us in one of our Sunday morning rides? Next Next post: Goodbye Honda!